Our client for this project was a real estate listing site. They wanted their site to accept listings from different real estate agencies and allow user enquiries about their listings. The enquiries would be received in exchange for credits. Our client wanted to sell the credits on their website. They already had the WordPress theme “Houzez” installed which was the best fit for their job. It helped them implement basic functions, but they wanted some further tweaks over existing implementation to suit their needs. The project was an interesting tweak over the existing features. 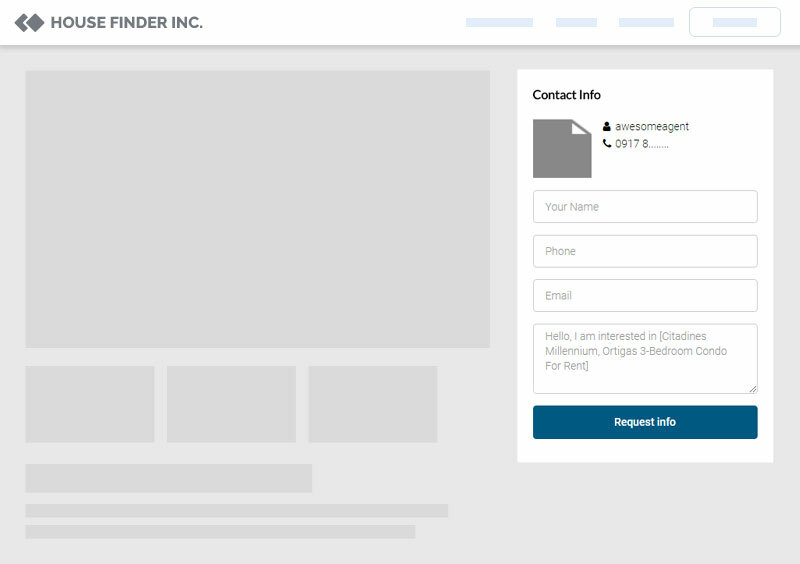 Our client wanted a feature so that users can submit enquiries about a listing. It allows agencies to receive valuable potential customers. We used hooks to tap into the form inputs and integrate our credit policy into the form. We updated the credit everytime an enquiry is run and execute further actions if needed. We have implemented a credit system centering around the enquiry feature. Agents can purchase credit. Credits represent the number of enquiry agents can receive. If credit limit exceeds, listings from the agent are made so that they are no longer available for public. We have implemented custom payment info page and integrated Stripe payment with it. Our client wanted to launch their site first on Philippines. The country enjoys the use of SMS as a popular communication medium. Email also acts as a detailed notification to see the full length enquiry and respond properly. So we implemented both email and SMS notification into the project. SMS notification is implemented with Twillio API. Our client wanted this feature from the start. We implemented a feature so that a particular amount of free credits are assigned to agencies upon registration so that agencies can start receiving enquiries right away, before paying for their first plan. We also made the amount configurable from the settings. When we finished, we delivered a customized real estate enquiry feature that handles payments and credits automatically. With this completed, our client got a new payment model to encourage growth for their project.